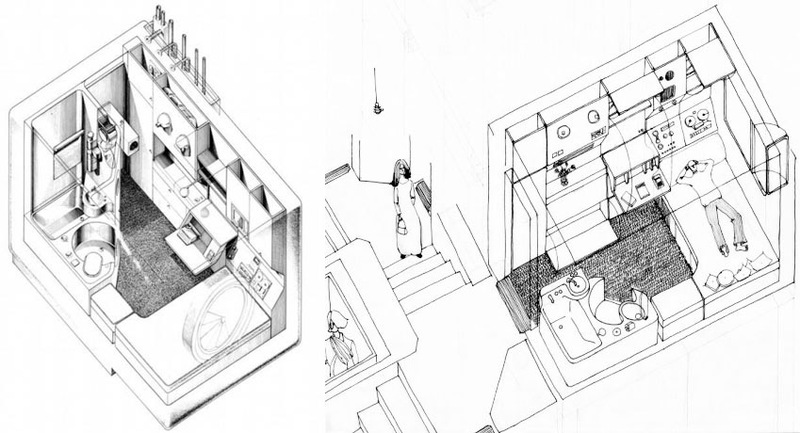 One of the leading examples of Japan’s metabolist school of architecture – Nakagin Capsule Tower – is inching closer towards a potential fate of demolition after the land under the building recently changed hands. On June 29, the land underneath the Nakagin Capsule Tower building was sold to CTB GK, a limited liability company established only earlier that month. 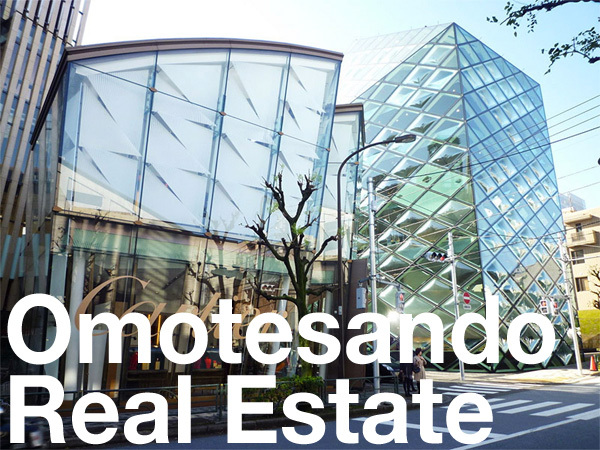 The sale included the land, the 1st floor retail space, 2nd floor office space, 16 capsules and two buildings behind the Capsule Tower. The seller was Nakagin Group, the developer of the building. The new owner promptly informed the chairperson of the apartment owners association of their intent to redevelop the site. Capsule owners were also informed that the new landowner would not approve any future capsule sales. Since the land is registered under the ‘chinshaku-ken’ style of leasehold rather than the newer superficies style, apartment owners must get the landlord’s approval in order to transfer the land leasehold rights when re-selling an apartment. If a landlord does not provide approval, the apartment owner must seek the court’s approval, which is not necessarily a given. 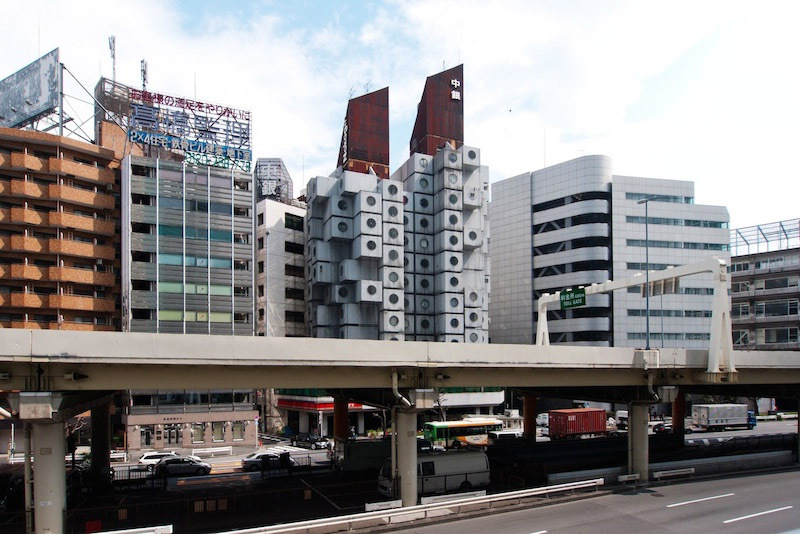 On August 23, the head of the Nakagin Capsule Tower Preservation and Regeneration Project started an online petition on Change.org addressed to the governor of Tokyo seeking the support of the local government to protect the landmark building. By August 27, over 670 signatures were obtained, putting them two-thirds of the way towards to their goal. 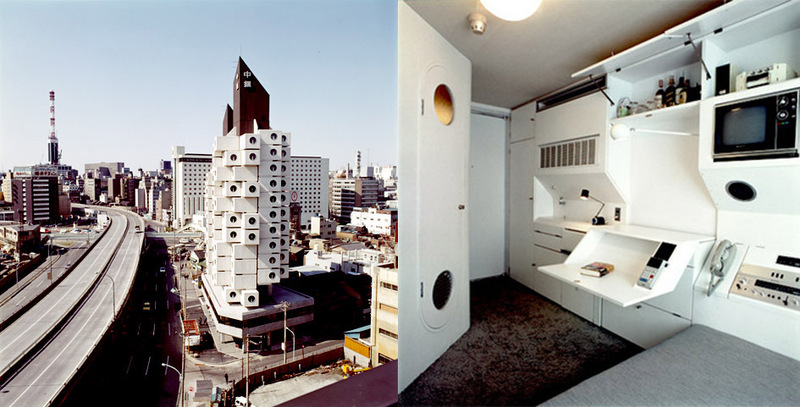 Nakagin Capsule Tower was designed by renowned architect Kisho Kurokawa and completed in 1972. Planning and design took four months, while construction and assembly took just 12 months. The structure consists of two concrete cores containing the elevator shafts and stairwells. The 140 capsules, which were built off-site, are each connected to the core shaft by four high-tension bolts. The capsules were designed to be removable and interchangeable, although none of the capsules have been removed to date. The capsules themselves are just 10 sqm (108 sq.ft) in size and came with eight different interior options including built-in storage units with built-in beds, stereos and fold-out tables, a circular window with custom-made lens-type blinds and an option for it to be openable. When the capsules went on sale in the 1970s, they were priced at around 3.4 million Yen each. The target buyers were office workers who wanted a hotel-like unit in the center of the city that could be used as a crash pad during the week. All capsules had sold out within 6 months. Towards the end of Japan’s bubble in the late 1980s / early 1990s, capsules were selling for around 20 ~ 25 million Yen each. Back in late 2012 and early 2013, when the market was at a slump, capsules were listed for between 2 ~ 3 million Yen each, and provided annual gross returns of around 20%. Nowadays the capsules are now priced at around 8 ~ 9 million Yen (72,000 ~ 81,000 USD) each, which represents a price increase of as much as 160 ~ 350% over the past 5 years. Typical rents are around 45,000 ~ 70,000 Yen/month (400 ~ 630 USD). Due to various problems with water leaks and deterioration, less than half of the 140 capsules are said to be currently occupied. There have been efforts over the years to solve some of the issues with the ageing and deteriorating building, including a proposals to repair or replace the capsules with new ones. Replacing the capsules was estimated to cost 8.8 million Yen per capsule. Due to the high cost, the various capsule owners were not able to agree to the plan. Redevelopment discussions began back in 2005, with a majority voting in favor of redevelopment in 2007. The construction company chosen to lead the redevelopment filed for bankruptcy shortly afterwards and the redevelopment plan was put on hold. By 2010 the discussion was raised again, but a growing divide between owners in favor of demolition and those in favor of preserving the existing structure has led to a standstill. The capsule building sits on leasehold land once with the new limited liability company the landlord. The lease is due for renewal in 2032. Source: PR Times, August 24, 2018.